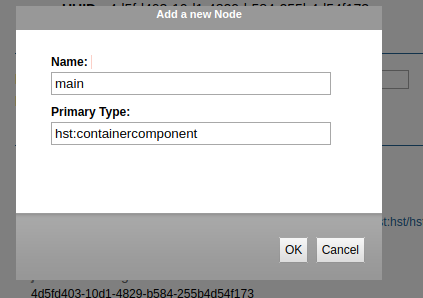 so in this blog we configure container below hst:workspace/hst:containers. 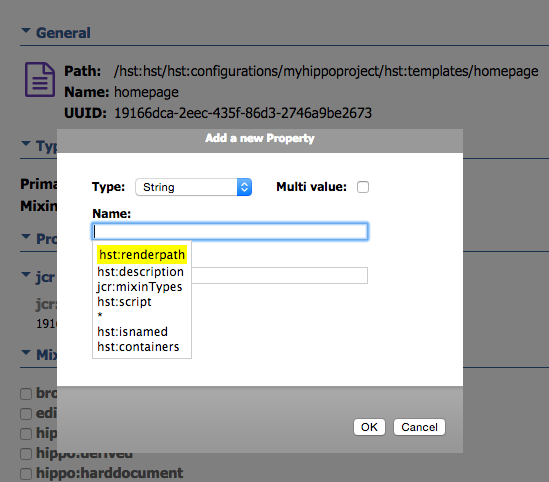 generate your Hippo project using the Maven archetype as explained in Create the Project. Browse to the Hippo Console at http://localhost:8080/cms/console and log in using the default admin / admin credentials. 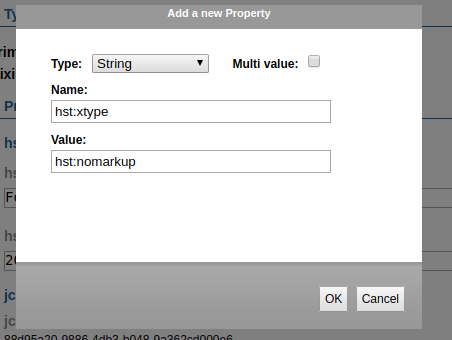 select the hst:templates node. Add a new child node, by either clicking on ‘Add’ in the top menu or by right-clicking the node then selecting ‘Add node’. Name it homepage. The node type should be set to hst:template by default. Click OK to create. 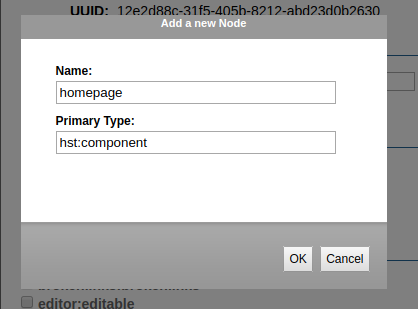 Select the hst:pages node and add a child node called homepage of type hst:component. 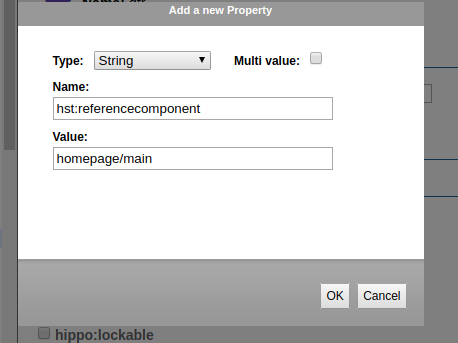 Note that there is no separate node type for a page, the page node is simply the top level component in the hierarchy. 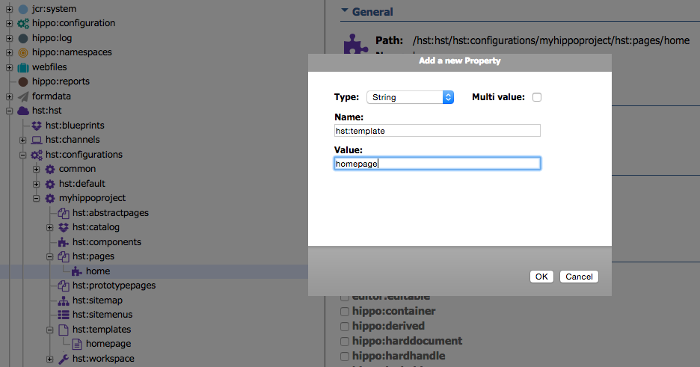 Add a property hst:template to the home node with the value homepage. 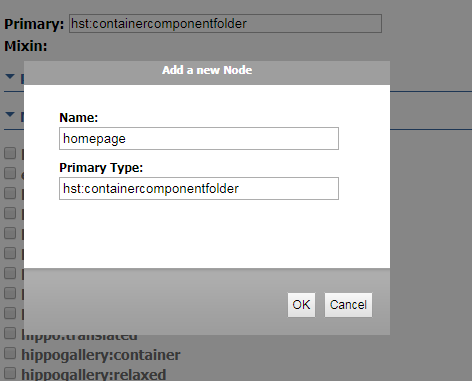 Add a property hst:containercomponent to the homepage node with the value main. The final step to take is to map a URL to the page you configured. 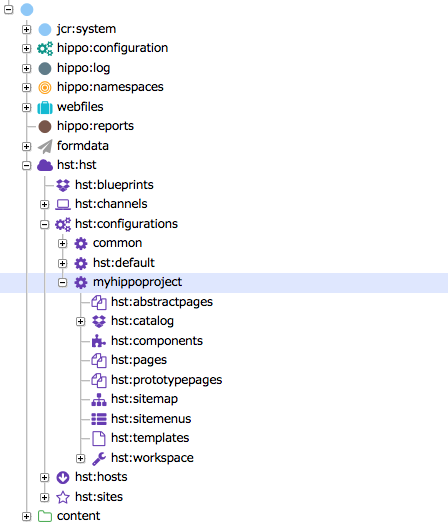 Hippo’s delivery tier uses a sitemap to configure the URL space of a website and map each URL to a page and (optionally) a content item. You want your page to be rendered as the home page of your site, which means you have to add a root sitemap item. 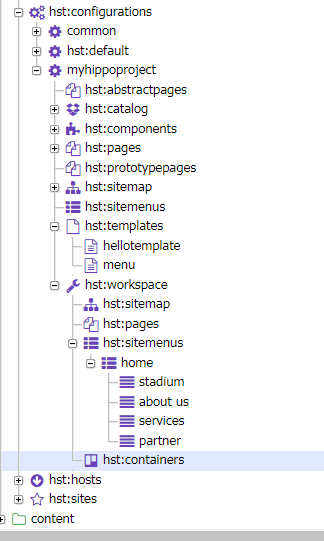 Select the hst:sitemap node and add a child node called root of type hst:sitemapitem. don’t forget to do write changes in repository. 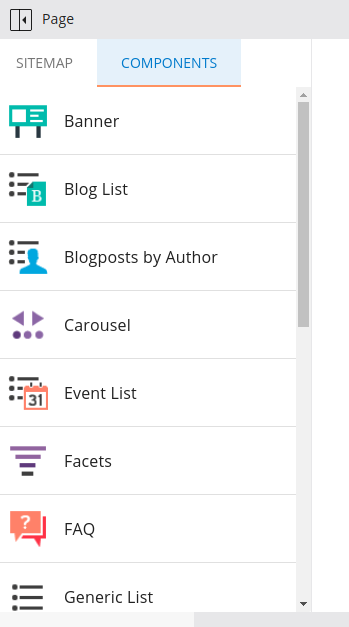 Step 8: Install the plugin from Essentials for Drag and Drop. 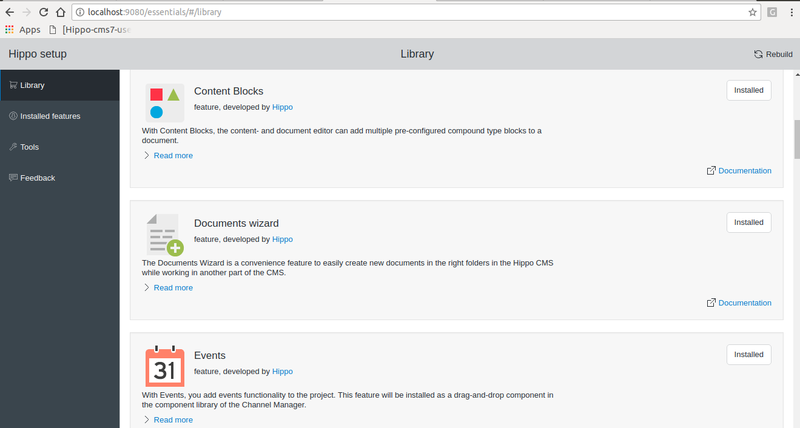 Then goto Channels at left Side then click on your_project it will display preview page. Then click Edit Button after that click top most left icon of sidenav . It will open following screen. Click on your url on sitemap and then component after that just drag and drop the Banner, Carousel, Faq, News, Map, Events, blogs component to your page. visit the site. You now actually see the content being rendered!